We have made possible for you to pay all your bills, taxes, fees at one place and deposit fund (Serbian Dinars) into a bank account. 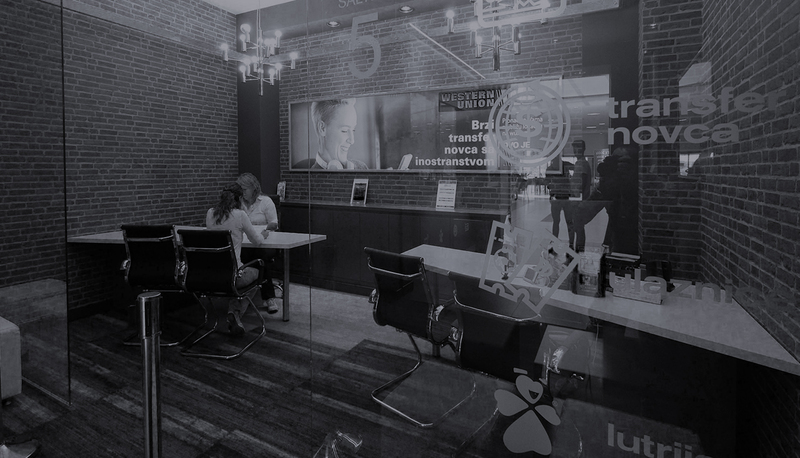 We are offering this service at all of our locations during the working hours of locations (mostly until 21-22 h, but at our office at Nikola Tesla Airport Belgrade 00-24h) and also on weekends. 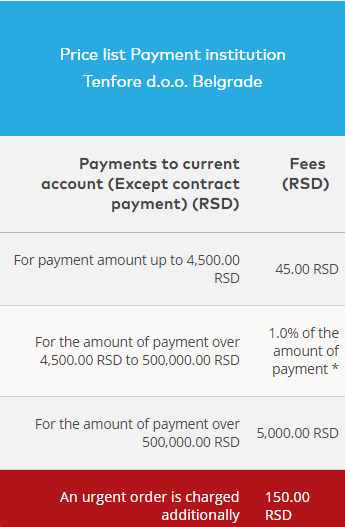 We process your payment orders, quickly, accurately and efficiently at fee 0,60%, minimum 65 RSD per payment order. Funds will be sent to the payee’s account according to the Price list of Tenfore d.o.o. Belgrade Payment institution. * When fees are expressed as a percentage, the base for calculating the fee is the amount of the transaction. Fees are VAT exempt according to the Law on VAT, Clause 25. Payment orders received after the given times will be executed on the following business day. In exceptional cases, if circumstances allow, Tenfore will also execute the payment transactions based on the payment order received after the given time, on the same workday. Saturdays, Sundays, bank and religious holidays in the Republic of Serbia are not considered workdays.